home Home arrow_right Forums arrow_right Communities arrow_right Artists arrow_right New skin render. Feedback? Hey guys! Sorry for disappearing, I really am. I promise I'll come by and smite you all some times. With that out of the way, I've been practising some renders while hidden in my super secret joao-cave. And yeah, this is my most recent one! What do you guys think? What should I do to improve? That render is beautiful. Absolutely gorgeous. That is absolutely amazing man. 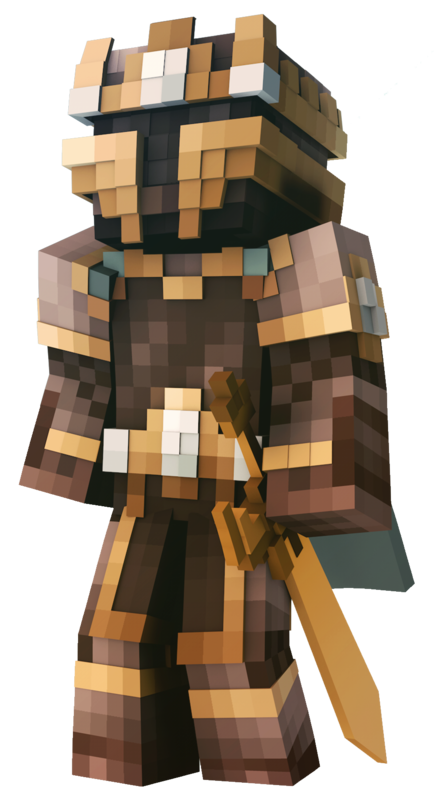 Love what you did with the helmet and how you made it curve and all the extrusion of the armor looks amazing as well. Great work! I love it, especially how it accentuates the pixels and the overlays, it makes it feel more like a minecraft skin. As it should. Very nice, keep up the awesome work, man!